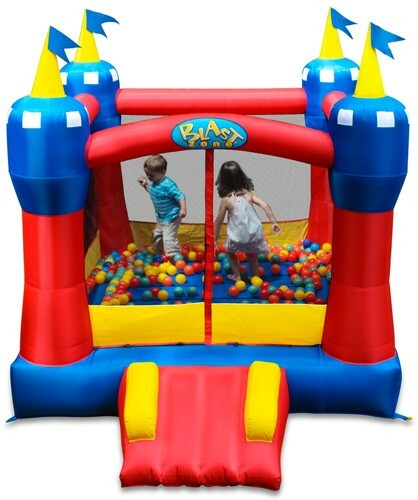 The Magic Castle is Blast Zone Inflatables' most popular bounce house! 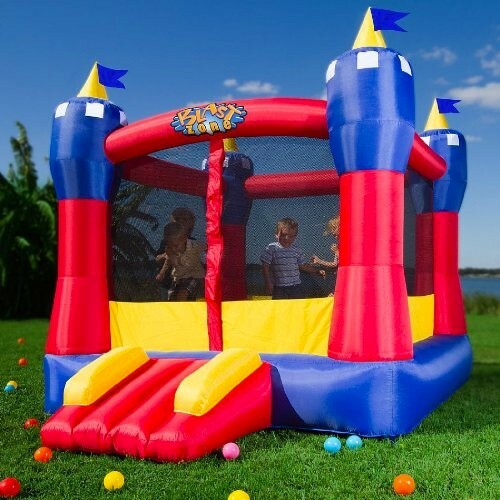 This bigger, improved version of the classic Blast Zone castle blows up in seconds, and easily holds 3 kids or 300 pounds of little party-hoppers! The "Safe Slope" Slide provides safe, easy access, and the surrounding netting and Hook-and-loop fastener entrance will keep kids safe while they bounce and have a blast! The extra-durable commercial vinyl floor, and reinforced seams add extra bouncing life. The Magic Castle is an ideal bounce house for backyards, indoors, sleepovers and more. The UL-Approved blower supplies air continuously to the unit, while kids play safely on a pillow of air. The Magic Castle is designed with extra high walls and netting, reaching a full 60" from the bounce platform! Kids are safely enclosed at all times, yet the spires are low enough to clear standard ceilings. The Magic Castle by Blast Zone is so easy to set up that mom, dad, grandma, or grandpa can set it up in seconds, whenever they want to play. 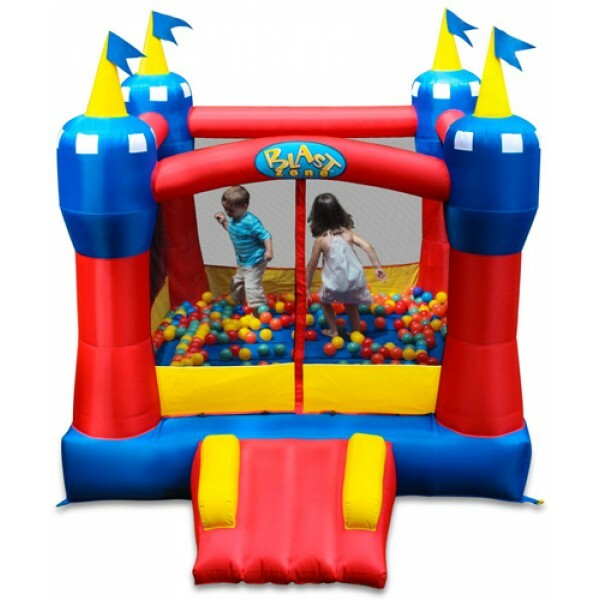 And the Magic Castle bounce house can fit in areas small and large alike. It's tall enough to keep kids playing safely, but low enough to be used in most indoor areas. Included in package is the inflatable play park, a UL approved blower, a carrying case, blower stakes, inflatable stakes, and instructions.